Four-hand massage in an oriental-massage center in Madrid. The Four-Hand massage is one of the most complete oriental massages and one of the most demanded in our center, as you can surely imagine. Double relax! The perfect synchronization of two Kamiraku therapists who relax and/or stimulate different body areas at the same time produces an unparalleled feeling of well-being. 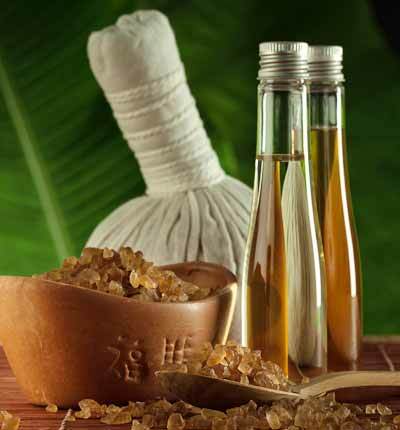 We make this special massage on the basis of the Thai oil massage technique. The incentive is that the Four-Hand massage is applied by two therapists at once, multiplying the perceptions and the mild sedation effects that all our oriental oil massages have. A four-handed massage makes you feel an intense relaxation due to the combination of gentle pressures and the sliding of the four hands on the skin, as well as the own effects of essential oils. Who is four-hand massage recommended for? This mode of oriental massage is especially suitable for stressed persons who are overwhelmed by their activity or life events, suffering from nervousness, anxiety, insomnia… But anybody who wishes to feel a full Kamiraku-style relax and enjoy one of the most iconic oriental massages will be fully satisfied if he or she chooses the four-hand massage. And if you prefer a dynamic massage, with yoga-inspired stretches that the therapist will help you perform, take a look at Thai massage’s technique and benefits. You will feel agile and full of life after each session.